Cozy cottage on the eastern shore of pristine Newfound Lake, with spectacular sunsets from the deck overlooking the lake. Swim from your own private shoreline and enjoy all the splendor of one of the cleanest lakes in North America. Biking, hiking, sailing and boating are all available in the Newfound Lake region (boat mooring onsite and boat rentals available at nearby Newfound Marina). A one-room, romantic hideaway cottage with double bed, half bath, kitchen, dining and living room areas all with incredible views of Newfound Lake and the mountains on the western shore. Private guest cottage with two twin beds and full bath (shower). Kitchen is equipped for casual cooking outside on the grill or entertaining guests and family for gourmet meals. Relax in the sunshine on the deck by day and enjoy the fireplace on cool evenings. Air conditioning and heat available or just open the slider windows and enjoy the breeze off the lake. Gourmet dining nearby at the Inn on Newfound Lake or the Common Man Inn in Plymouth, with full spa facilities for a special getaway vacation. Adventure awaits at Sculptured Rocks or world renowned rock climbing in nearby Rumney or relax and enjoy the local antique shops and farmer's markets along the country roads of the Newfound Lake region. Everything was perfect! Had everything we needed for a comfortable stay! Small and secluded. Could not have asked for a better house and the location on the lake was great. The house was small but was exactly what my wife and I were looking for. The two bed bunk house was great. Debbie was very nice to deal with and was very prompt in returning my emails with answers to any questions I had prior to our stay. The mooring for our boat was a big selling point as well. Met a few of Debbie's family members who were staying in the surrounding houses and they all were very pleasant. I would highly recommend renting this cottage and we are hoping to stay here again next summer. Thank you again Debbie! Our stay was perfect! We could not have asked for better weather or the view of New Found Lake. What a hidden treasure this place is. I also came across the book "The Last Dance" and had time to read it. What an amazing woman Susan Mclane was and her family. 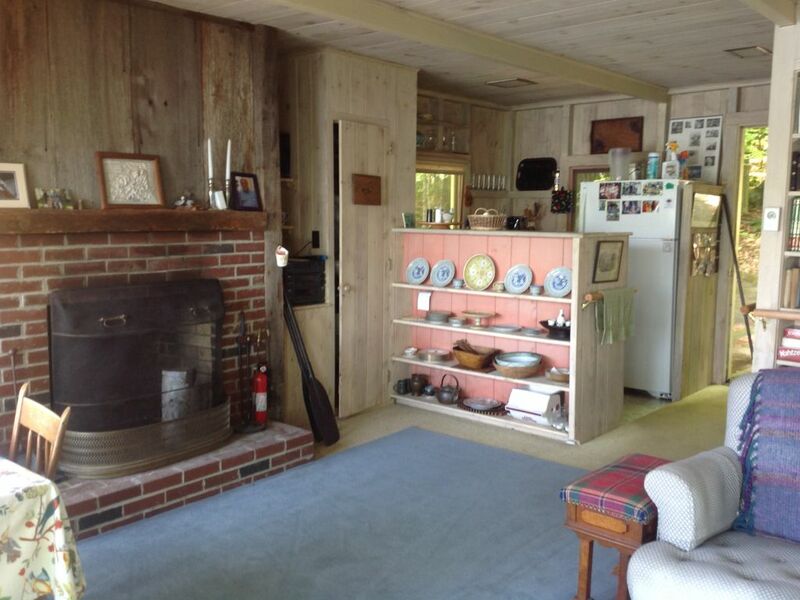 Beautiful, quiet, private getaway on Newfound Lake! Loons right off the dock, great fishing, mountain view sunsets! I am so glad you enjoyed your stay - and that you got to see the loons so close to the dock. The peace and quiet of the place add to the beauty of it. Rustic with a Million Dollar View! Quiet with wonderful lake views! We needed the rest and quiet!. Drove the Kancamagus and hiked to some waterfalls. Great week away!